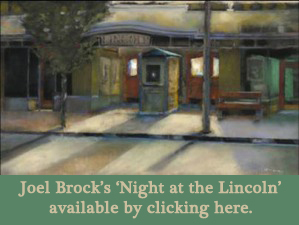 Why advertise your business or event with the Lincoln Theatre? 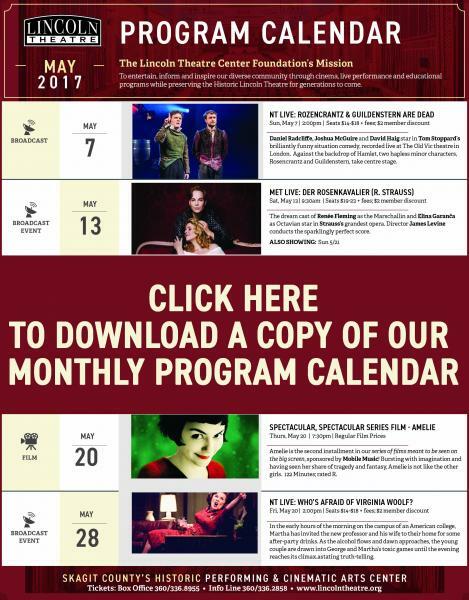 Advertising with the Lincoln Theatre can provide your business with valuable exposure to our patrons at our films and events, on our website, and through our weekly email. Lincoln Patrons range from school age children to retired professionals, from film buffs to opera aficionados. Whatever your clientele, we have an opportunity that will target your audience. 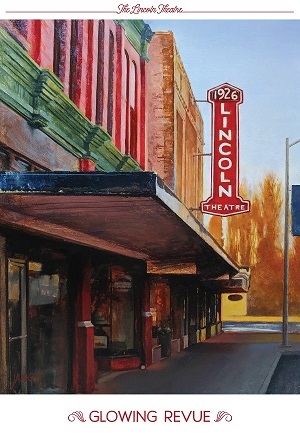 The Lincoln Theatre is a non-profit community-based theatre in Mount Vernon, Washington. Our mission is to entertain, inform and inspire our diverse community through cinema, live performance and educational programs while preserving the historic Lincoln Theatre. 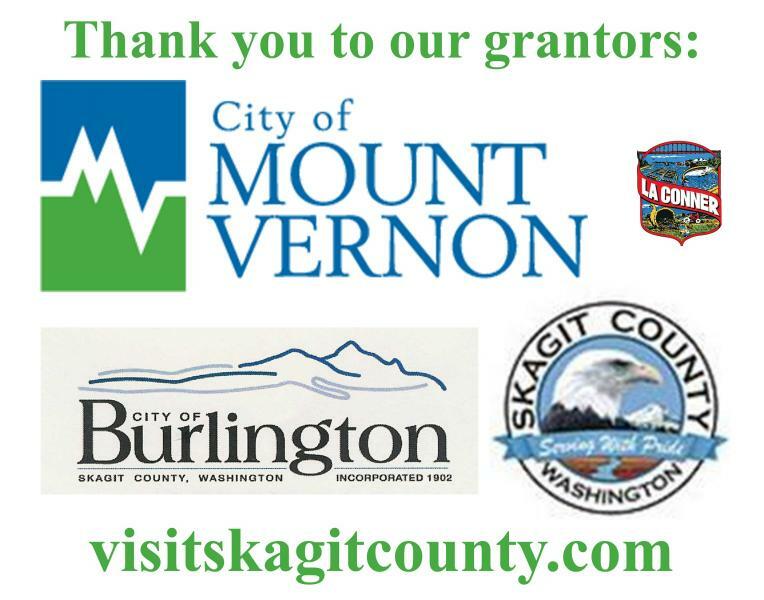 Every dollar we raise from advertisements goes to support this important community icon. Each newsletter printed and emailed monthly. Ads reach approximately 8,000 by email, as well as 3,000 printed and distributed around the region. Deadline to receive ad images are the 10th of the month before the guide is printed. Ads should be submitted in .pdf or .jpg format. 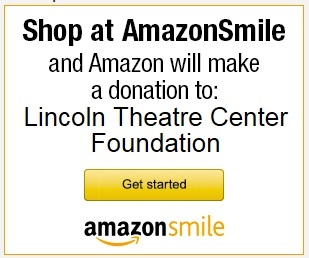 The Lincoln Theatre can create the ad. There is a $25 charge. The on screen slideshow runs before each film, and in the lobby during broadcasts and live events and is repeated several times before each audience. These slides reach between 600 to 1500 people each month depending on the events. Unfamiliar with PowerPoint? We can help you design the perfect slide. Ads need to be in PowerPoint format, and set to16 wide by 9 high. A template will be provided. Ads can be accepted at any time and will run as little or long as you want. 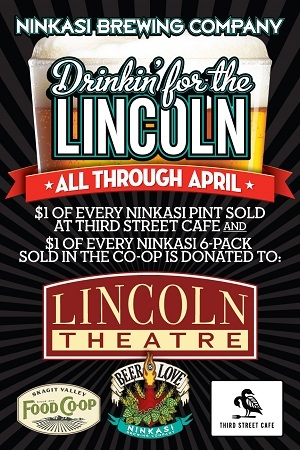 The Lincoln Theatre can create advertiser’s still ad. There is a $25 charge.